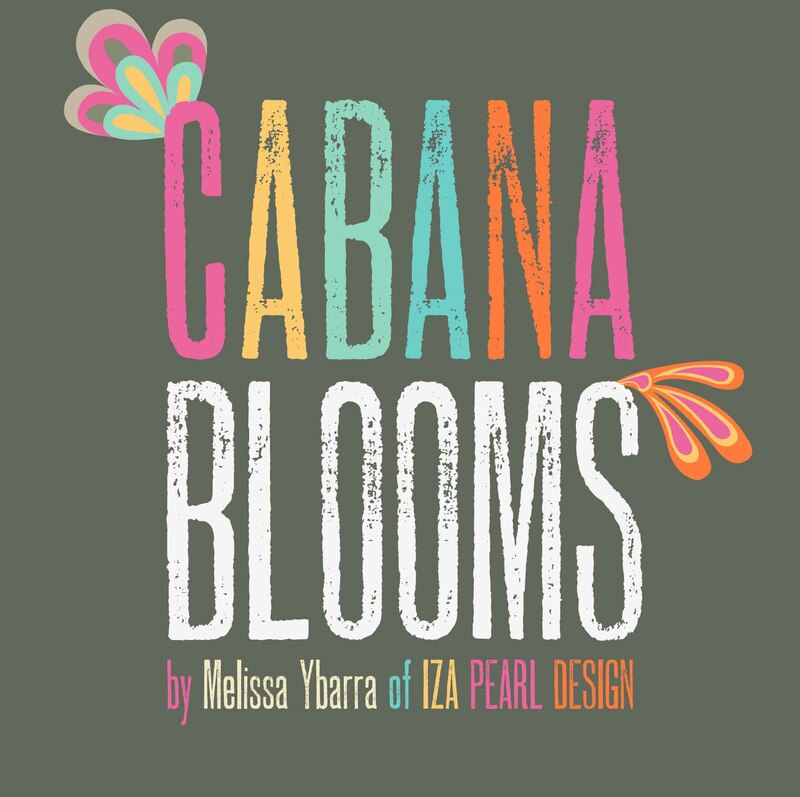 Windham Fabrics is proud to present Melissa Ybarra of Iza Pearl Design and her new collection Cabana Blooms. Oh boy is this collection full of stylish color and blooming design!! Cabana Blooms by far has a special panache that just makes me want to dive into the fabric and start a new and creative project!!! Let me tell you … your creativity will blossom as the possibilities for this collection are endless!! I had a wonderful opportunity to talk with Melissa and ask her a few questions about herself and what has inspired her to become the creative and successful person she is today! A:Evolving–my style is continually changing as I am constantly inspired by new experiences–colors, smells, sounds, sights, new places, old places, old art, new art. However, my designs still always seems to have my obvious hand of fun, with a hint of sophistication. Q: What inspires you as a designer when starting a new collection? A: Again, I would say recalling my experiences and also my daydreams of far off places…as most of my collections start as mindless doodles–whether during a staff meeting (don't tell my boss! ), while on the phone, or waiting for a file to save while working on the computer. I usually have a pencil in hand. Q: What challenges you the most when designing a new collection? A: Deciding when it's complete. I'll tweak, and re-tweak, and then tweak things again. I sometime get hung up on the silliest details and have trouble making up my mind…especially when it comes to various colorways. Q: In your opinion what is the most important part of the design process? A: The most important part of the design process for me is again, experiencing life. If you don't know what's out there, what's current, what's wonderful, then your designs will be stale, and well, lifeless. Q: Tell us about your education, experience and background. A: Well, I never took an art class in high school. I was too busy to trying to get in all my Board of Regent classes…phew, alot of good they've done me now! So, not knowing what I wanted to major in while attending the University of Kansas, I started out as Graphic Design. Growing up, I spent my summers in NYC with my aunt who has a successful graphic design studio specializing in the children's industry. I loved the creative energy while staying there and thought I'd give it a try. Although I loved my classes, I had so many interests. Long story short, I changed my major 5 times. One day, I went to my academic advisor and asked what major I could graduate with the fastest. She told me Communications. So the next day, I enrolled in the necessary classes. I graduated the next winter with a Communications degree. After graduating, I worked for 2 1/2 years at the YMCA in various positions. However, I kept finding my favorite part of my job was designing the fliers and brochures for various programs. Seeking something more creative, I decided to go back to school. I attended the Art Institute of Dallas and graduated with a BFA in Graphic Design. Talk about a 360!! I was lucky enough to get a job in the Marketing Department at JCPenney, where I work as a packaging designer. 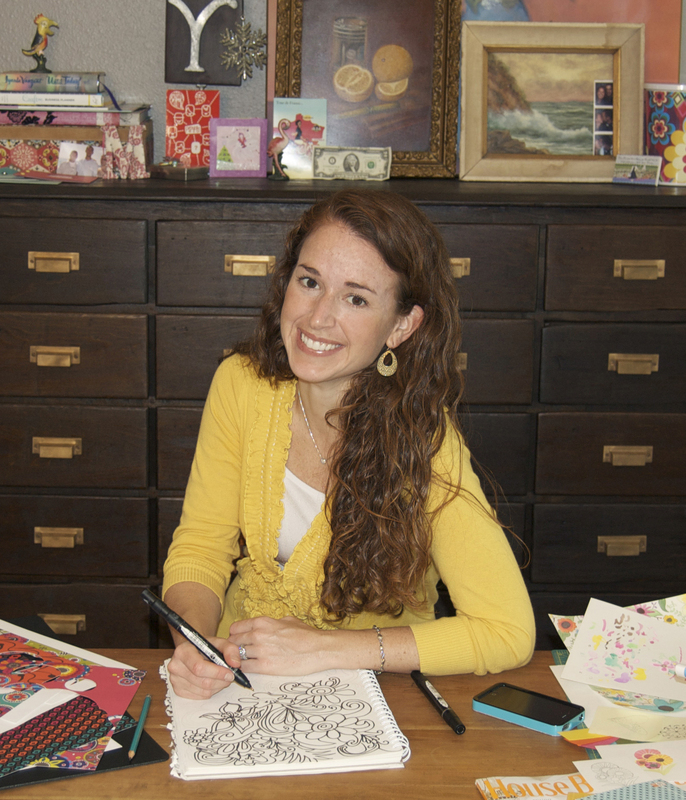 I got into surface design because I was seeking a more creative outlet for my design work, and started a freelance graphic/surface design studio named after my great, great grandmother–Iza Pearl Design. Q: Who is someone you truly admire and why? A: I'm so very blessed that there are lots of amazing people in my life that are admirable in several ways. I can't narrow it down to one, but can two–my parents. They are two of the most loving and giving people on this planet, not only to each other, to our family, but to complete strangers. Q: What is your favorite magazine? A :Currently, my favorite paper magazine is Anthology and Runner's World . Online magazines–Lonny, Rue, and Ivy & Piper. I'm a big blog junkie, and religiously glance over these blogs daily–Design Sponge, Oh Joy, Mrs. Lilien, Print & Patter, Prudent Baby, Poppy Talk, Color Collective, Coco & Kelly, Lobster & Swan, Spruce Upholstery, and Honestly WTF, and last, but not least, my aunt's blog Family Fresh Cooking. There are just so many fabulous blogs out there, it's so hard to keep up!! As you can see Melissa has so much to offer and I personally can’t wait to see what she comes up with next!! 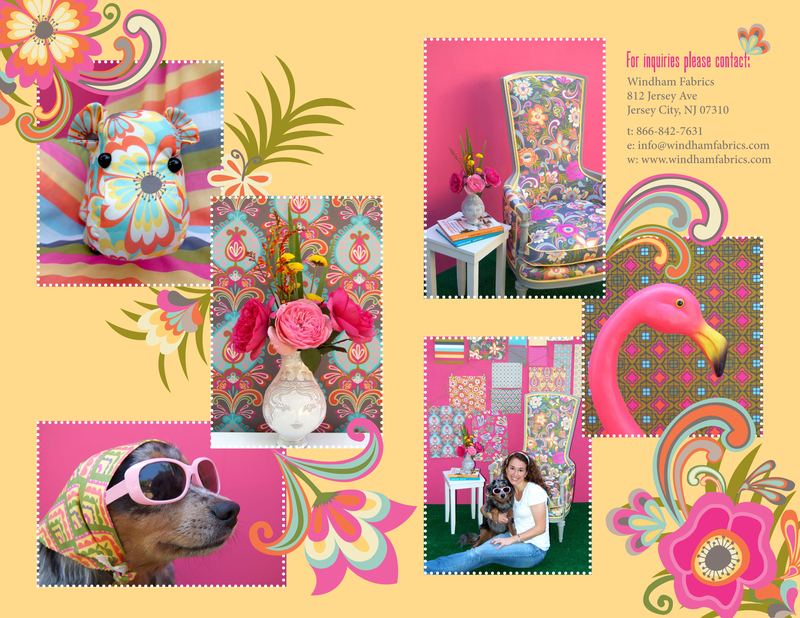 I just love, love, love, Cabana Blooms and all the collections has to offer! 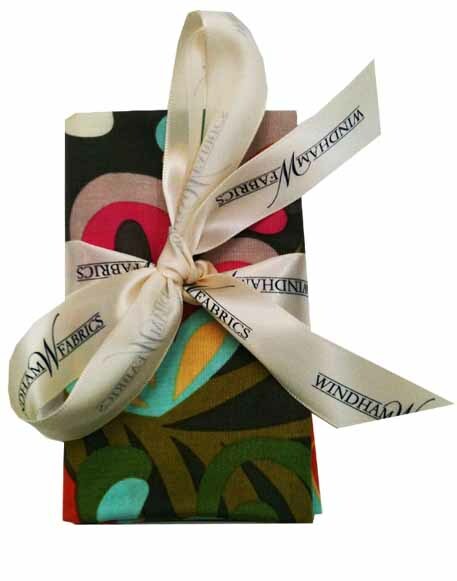 If you are in Houston for market make sure to come by the Windham Fabrics booth # 524-529 on Saturday October 29th at 3:30pm and meet Melissa. You will have the chance to talk with her in person and see some Cabana Blooms up close!! Looks like a lovely collection! What a fantastic collection! Love it! This stuff is really brilliant post! keep sharing more informative stuff like that.